Zach is an official Rust Belt Custom Pedal Boards artist, and has a custom African Paduak board with lift-off style case in black tolex. He stomps on a Line 6 Helix Control and Mission Expression pedal. This little tone monster is Zach's go to amplifier. 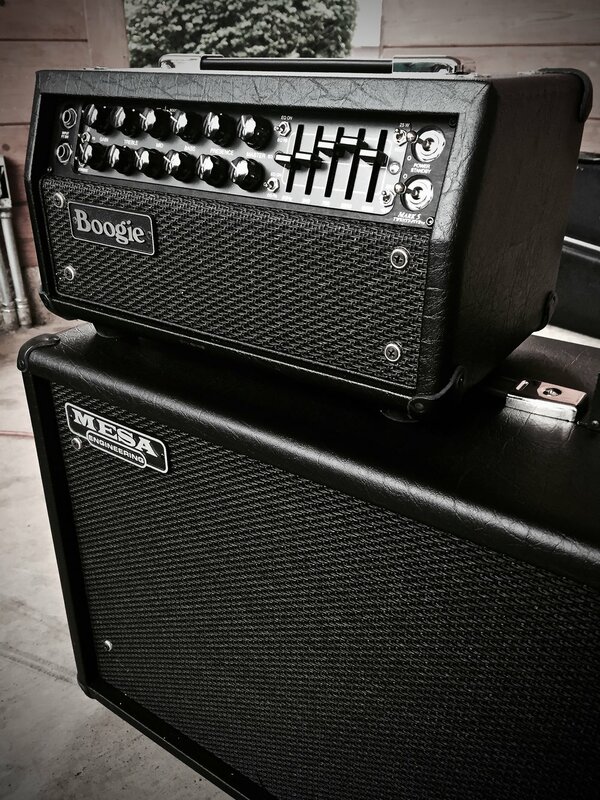 He runs it through a single Mesa Boogie 1x12 oversized cab, and adds a second cab for bigger venues from time to time. For the big shows, Zach pulls out all the stops and rocks this gargantuan combo. The 1965 Fender Bassman head provides tons of power and headroom, while the Marshall closed-back 4x10 with original Celestion speakers keeps the sound tight and focused, and provides great clarity and punch. 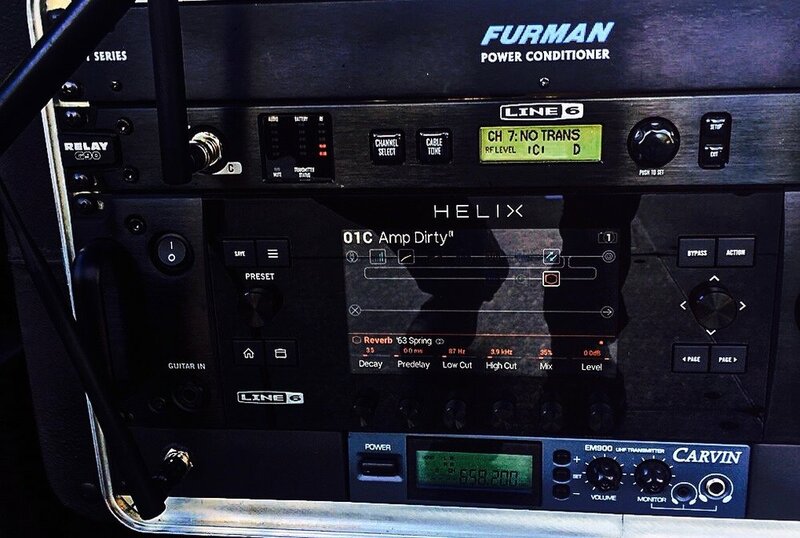 He runs the Line 6 Helix with this setup for his various effects and settings. Line 6 gear is certainly at the heart of Zach's sound. He plays through a Line 6 Helix effects processor for his various effects. The Helix also acts as the brain of his rig, syncing all of the various parts to work in unison, and help to create his unmistakable sound. 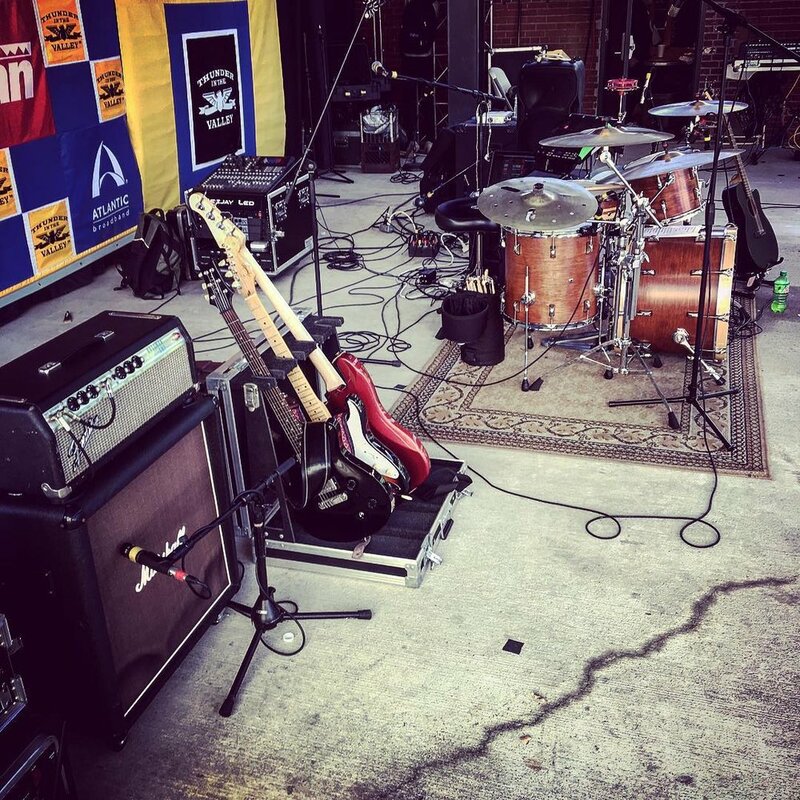 He also relies on a Line 6 G90 wireless system to deliver accurate tone and wireless freedom at every show. Zach is an endorsed Reverend Guitars artist, and you can see him getting down low with his Reverend Descent HC90 baritone or rocking out with his Reverend Double Agent W at any concert. Reverend makes some amazing instruments, and Zach is proud to be a part of the Reverend family. Look for Zach to be playing Reverend instruments on any stage! Zach also uses a variety of other guitars when the music calls for something different. His most common choices are a Fender 40th Anniversary Empress Telecaster, a Fender 1958 Stratocaster Reissue, and a Paul Reed Smith USA McCarty. His Fender guitars are loaded with David Allen pickups, and the PRS has the stock McCarty pickups. He also plays Taylor and Martin acoustics with K&K electronics, and a Cordoba GK Pro nylon string guitar.